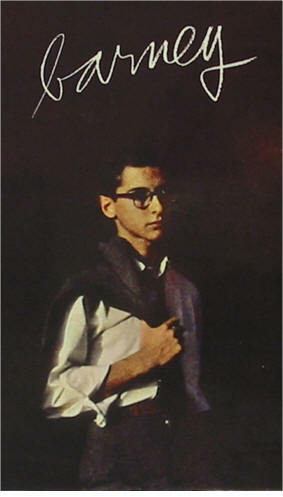 Original BARNEY WILEN poster for the French record label VOGUE. Dates back to approximately 1954. Very good condition for a poster more than 50 years old. Measurements in centimeters: 38,5 x 60 centimeters. Photograph by the renowned French photographer MARC HISPARD. 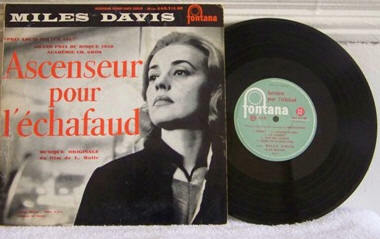 Printed in France by R. DELIGNE, 83 Faubourg Saint Denis, Paris. 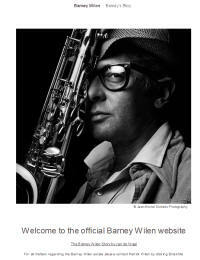 Provenance: The BARNEY WILEN estate. 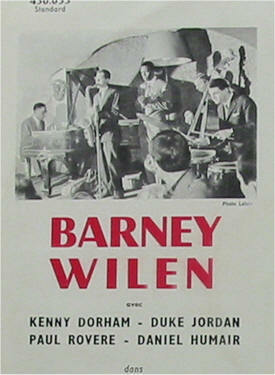 Rare affiche de BARNEY WILEN réalisée pour la maison de disques VOGUE. Date probablement de 1954, Barney avait alors 17 ans Très bon état pour une affiche de plus de 50 ans qui sent le bon vieux temps. Dimensions : 38,5 x 60 centimètres. Photographie du célèbre photographe français Marc Hispard. Imprimé en France par R. Deligne, 83 Faubourg Denis Saint, Paris. 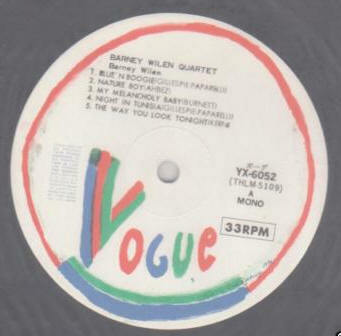 BARNEY WILEN, Montage composé d'une gouache originale et d'une photo .Maquette de pochette de disque de la Maison Vogue, format 38 X 40 cm. 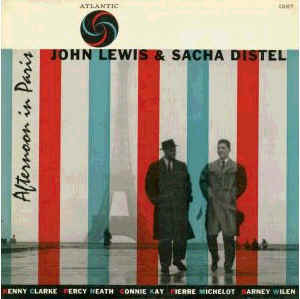 John Lewis/Barney Wilen: Afternoon In Paris. Atlantic 1267. 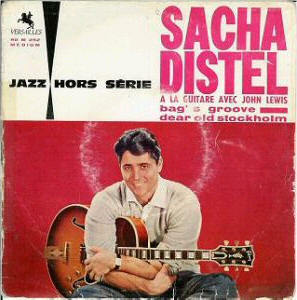 Original pressing with black label. 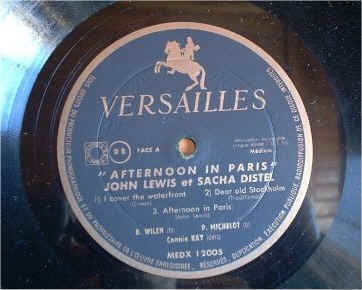 Recorded 1956. 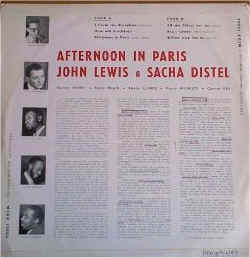 John Lewis piano, Sacha Distel guitar, Barney Wilen tenor sax, Pierre Michelot or Percy Heath bass, Kenny Clarke or Connie Kay drums. 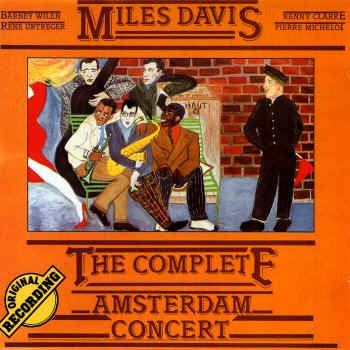 Miles Davis - Miles in Amsterdam. 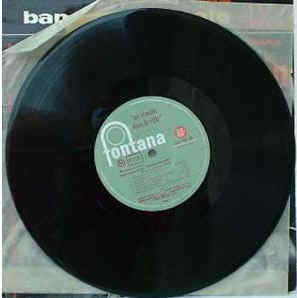 ITALIAN pressing on “JAZZ O.P.” label (OMS 7003). 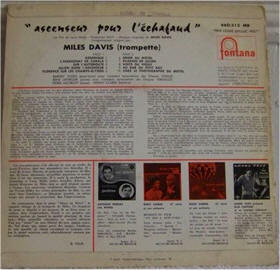 A lost Miles Davis concert -- recorded in 1957, with many of the same players he used for his classic soundtrack to the French film Ascenseur Pour L'Echafaud! 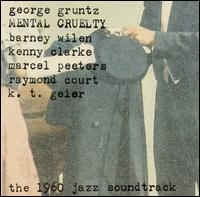 The group's a quintet with French players Barney Wilen on tenor, Rene Utreger on piano, and Pierre Michelot on bass -- grooving with help from Kenny Clarke on drums -- and tracks are longish and include many late 50s jazz standards -- like "Bag's Groove", "Four", "Walkin", "Round Midnight", and "Lady Bird". 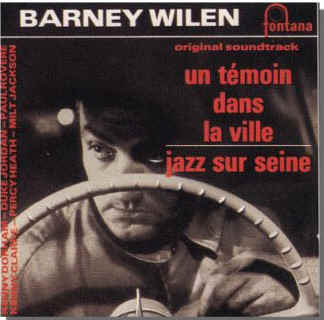 Barney Wilen's young tone is razor sharp at this point -- and makes for a great counterpoint to the sweeter horn of Miles, coming together with the same magic they shared in their wonderful soundtrack work together. There's a bit of crackle in the recording quality, but the concert's well worth seeking out! 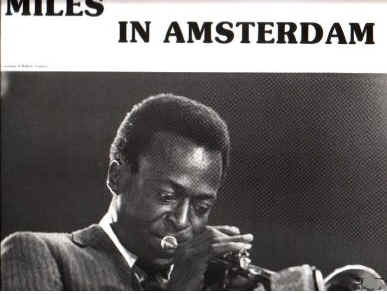 OBJECT OF THIS AUCTION: Genuine master tape (reel) of the Amsterdam Concert on December 8th 1957.Featuring Miles Davis (tp), Barney Wilen (ts), René Urtreger (p), Pierre Michelot (b) and Kenny Clarke (d). Recorded and broadcasted by VARA Radio in Holland. The tape starts with an announcement in Dutch: “VARA radio recorded this concert on December 8th 1957. it contains sufficient exiting music to put together an historical 1 hour program…” 01. Woody ‘n’ You 5:03 - 02. Bags Groove 7:00 - 03. What’s New 3:38 - 04. But Not For Me 6:49 - 05. A Night In Tunisia 7:15 - 06. Four 4:28 - 07. Walkin’ 6:34 - 08. Well You Needn’t 5:26 - 09. Round About Midnight 5:33 - 10. Lady Bird 5:30 - THE WINNING BIDDER WILL RECEIVE THIS MASTER TAPE (REEL) AND A COPY OF THE DIGITAL TRANSFER ON A DVD The reel is in excellent condition and the sound quality is very good. Please refer to the transfer specialist’s technical information: “The tape in question was a 10.5 inch reel of 1/4" Agfa tape, purportedly recorded in Amsterdam on the 8th of December, 1957. 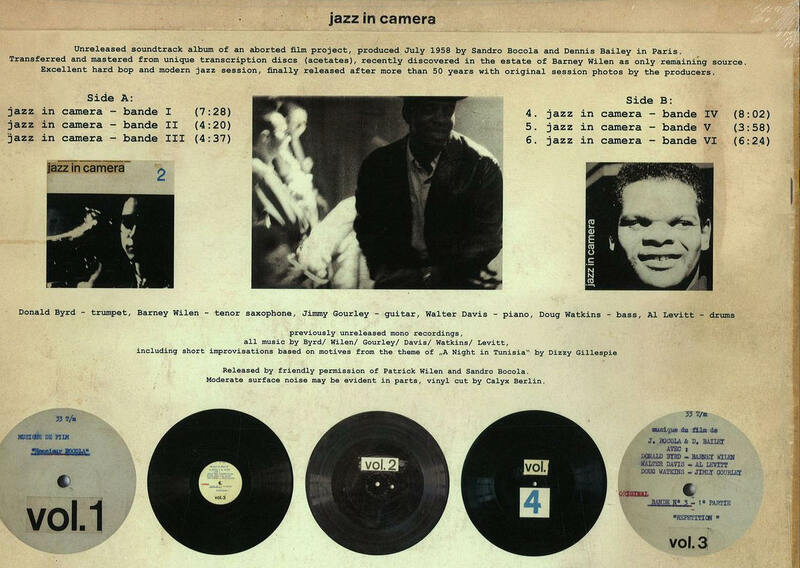 The recording was done in mono at 7.5 inches per second. As there were no alignment tones on the tape, I utilized a standard MRL tape at 7.5 IPS to set the playback equalization. The playback machine was an Otari MX-5050BII. Normally, in the case of a mono tape such as this one, I would use the better sounding output (left or right) from the Otari. But for some reason, in this case the sound was always superior when I mixed the two outputs together (accomplished by busing within ProTools). The result was always fuller and less "hollow" than that of either channel on it's own. The phasing sound evident in the cymbals was apparent in the individual channels and no worse when the channels were combined, which leads me to think that this anomaly was introduced at the time of the original recording or if and when a copy was made. The converter was a Digidesign 192 set up for 24 bit/192kHz. The file format was BWF. The nominal reference level (and I say nominal because the playback level of the Otari was set "by eye") was -14dbFS. The tape was played in one pass into ProTools and the result was a single 1.97GB Broadcast File. 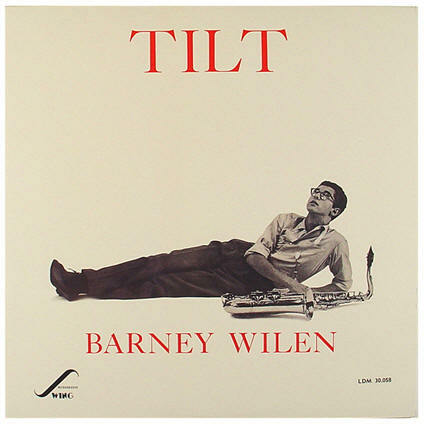 This file was subsequently exported as a 16 bit/44.1kHz AIFF file and burned with IDs as a reference CD-A.” IMPORTANT UPDATE: Q: I found your annoncement while making a dicographic research about Barney Wilen on the net. I was his french manager between 1985 and 1996, and consequently very close from him those years. 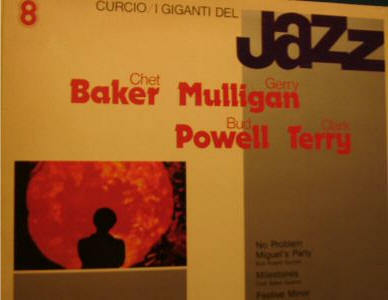 The story of this tape (and his different official or bootleg editions) remains full of mistery for the jazzfans. And of course - though kwowing that your will certainly not answer this question - I wonder who you are and how this tape is now in your hands ? 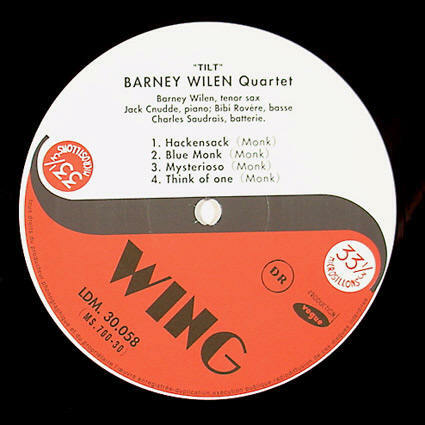 What is surprising and very moving for me is that, being of course very familiar with Barney Wilen's handwriting, I am almost 100% sure that the liner notes appearing on the tape cover were written by Barney himself. Did you had any grapholigic expert evaluation on that point ? I'm sure such an evaluation could increase the value of this rare item. 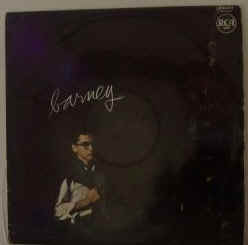 I'm unfortunately not in position to buy it myself, but if you have any other Barney Wilen items (like LPs, posters, etc..), please keep me informed. Sep-28-05 A: Thank you very much for this most informative question. You are not wrong by assuming that I prefer to keep your first question unanswered. All I can say is that this tape was given to me by Barney Wilen himself and that I therefore have all the reasons to believe that it is an original. Concerning Mr. Wilen's handwriting on the cover of the tape: I did not ask for a graphologist's expertise simply because I assumed that it was his. 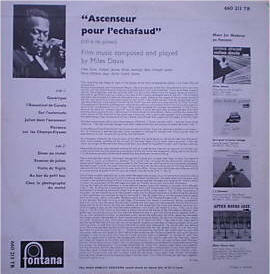 One side of the LP features the Miles Davis Quintet playing the soundtrack to the film "L Ascenseur Pour L'echafaud (Elevator To The Scaffold)" also composed by Miles Davis. 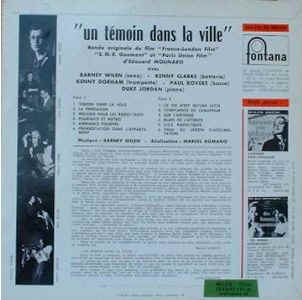 The quintet included Rene Urtreger (piano), Barney Wilen (tenor sax) and Pierre Michelot (bass). 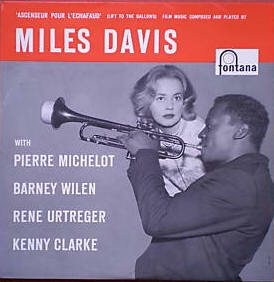 The other side features the Miles Davis Sextet playing "On Green Dolphin Street", "Put Your Little Foot Right Out" and "Stella By Starlight". 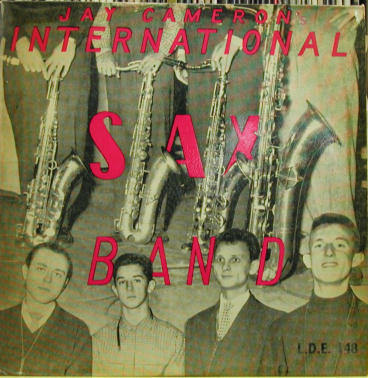 The sextet included Miles Davis (trumpet), John Coltrane (tenor sax) and Julian "Cannonball" Adderley (alto sax). The other members of both groups are not named. 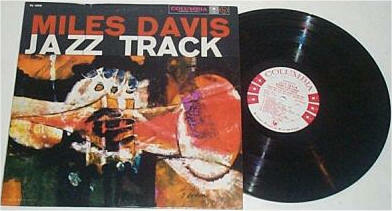 Miles Davis: Jazz Track. CBS 62324. Made in Holland. Paper cover with original plastic protective cover. 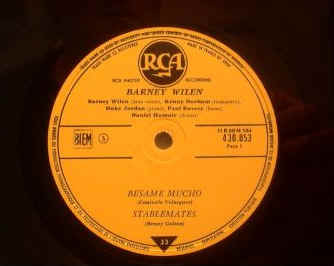 Recorded 1957. Cover and record strong VG++. 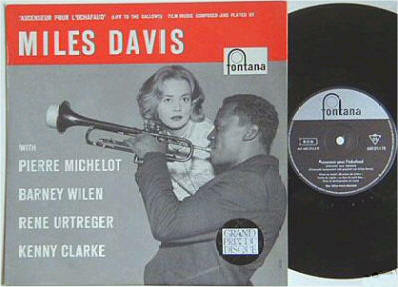 Miles Davis trumpet, Barney Wilen tenor sax, Rene Utreger piano, Pierre Michelot bass, Kenny Clarke drums. 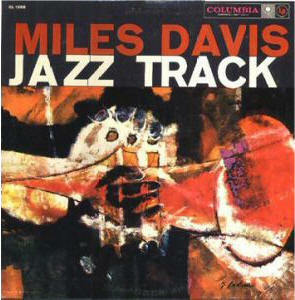 Plus three tracks by the Miles Davis Sextet with Cannonball Adderley alto sax, John Coltrane tenor sax, Bill Evans piano, Paul Chambers bass, Jimmy Cobb drums. 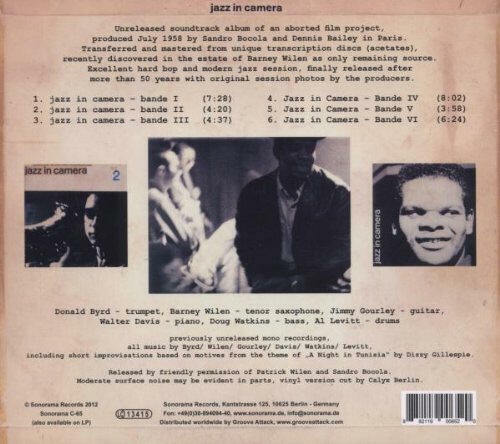 C'est la bande originale du film de la nouvelle vague "Jazz in Camera" sorti il y adéjà 50 ans composée et interprétée par deux grands du jazz: DONALD BYRD & BARNEY WILEN. Il inclut un livret deluxe avec d es photos des sessions d'enregistrement. Paris, à la fin des années 50. La mecque du jazz moderne ou les plus grands tels que Lester Young, Bud Powell, Kenny Clarke, Zoot Sims, Stan Getz, Chet Baker, Oscar Pettiford, Art Blakey et the Jazz Messeng ers jouent dans des clubs comme le Chat qui pèche, le Club Saint Germain le the Blue Note. Miles Davis enregistra plusieurs bandes originales de film de l'époque à Paris avec justement BARNEY WILEN & Duke Ellington s'est produit avec son orchestre. B ef, l'époque et le lieu font que les enregistrements en jazz étaient au dessus du lot. 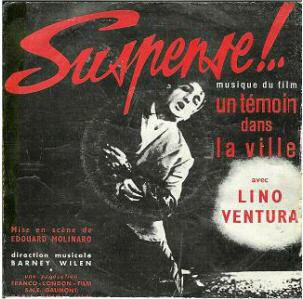 C'est Boris Vian qui a permis à cet enregistrement de se faire. 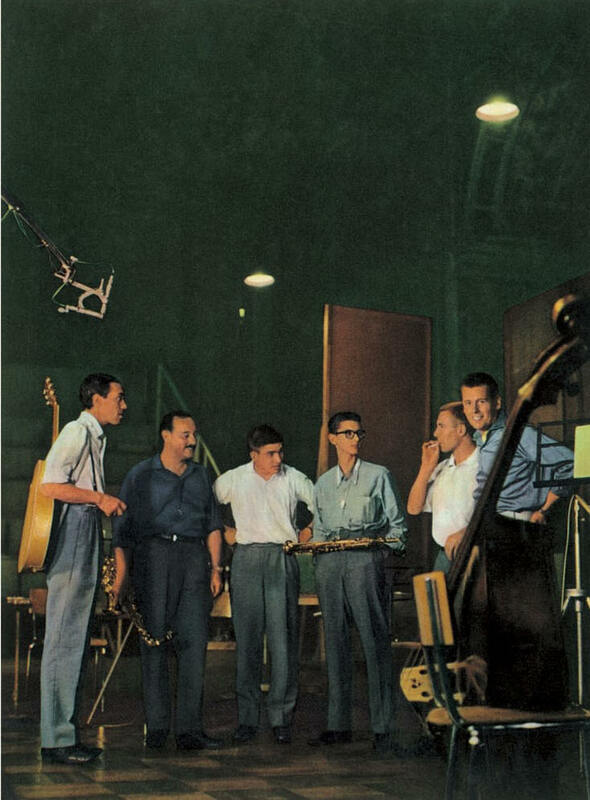 En effet, à l'époque il travaillait pour Philips et a libéré un studio pour que les musiciens enregistrent cette bande- originale. 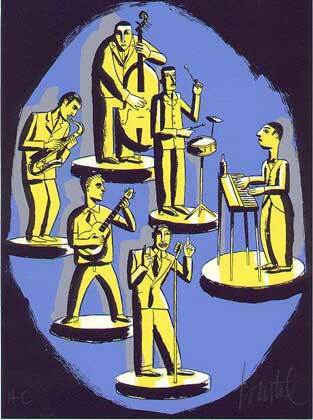 Musiciens: Donald Byrd (tp), Walter Davis (p) Jimmy Gourley (g ), Al Levitt (dr), Doug Watkins (b) & Barney Wilen (ts). Op 4 februari 2013 overleed de Amerikaanse hardbop-trompettist Donald Byrd (80) na een imposante carrière. Die begon in de jaren 50 van de vorige eeuw als vervanger van Clifford Brown bij Art Blakey’s Jazz Messengers. Toeval? 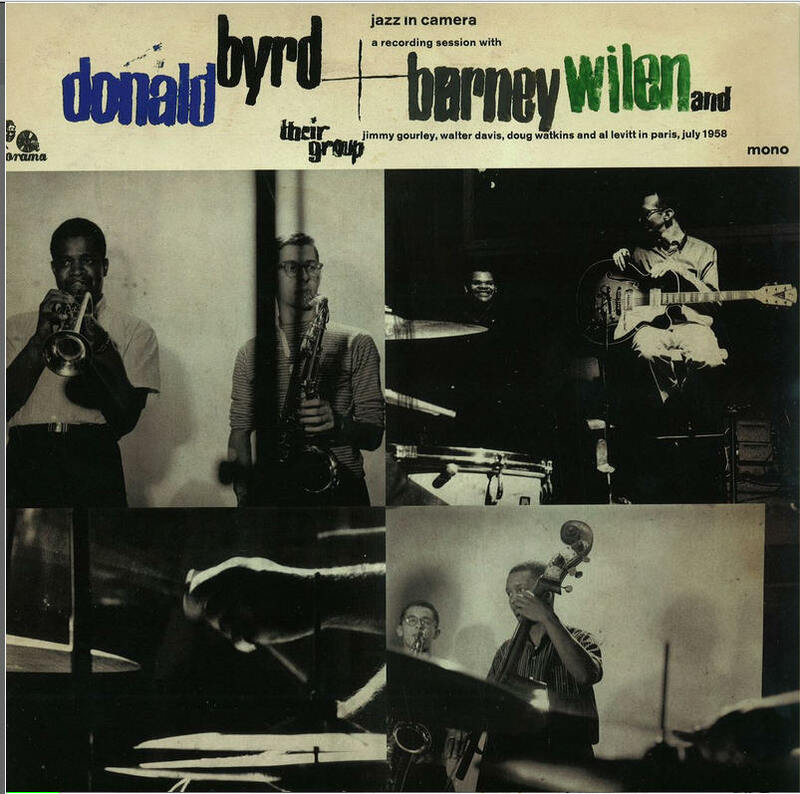 Enkele weken vóór zijn dood verschenen verloren gewaande opnamen van Byrd met de Franse tenorsaxofonist Barney Wilen. Het ging om de niet-voltooide soundtrack van een nimmer afgeronde film van Sandro Bocota. 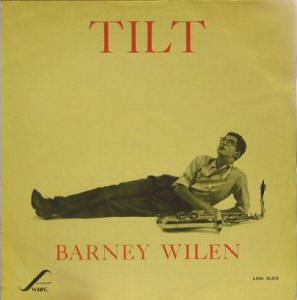 photos originales de Barney Wilen 24 x 20 et 20 x 20 cm de Marc Hispard, novembre 1959 tirée de la session pour la pochette du disque "Tilt"
INCREDIBLY RARE French original mono LP on french 50's jazz label Swing - Here is the french jazz holy grail in superb condition !!! (have a look to my feedback and you will see I never overgrade the condition of records!) 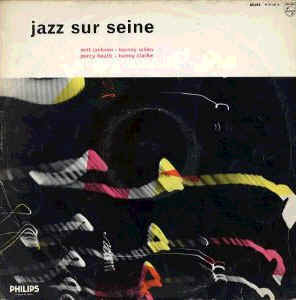 Recorded in Paris in january 1957 with Maurice Vander (piano), Bibi Rovère (bass) and Al Levitt (drums) on the first side and Jack Cnudde (piano), Bibi Rovère (bass) and Charles Saudrais (drums) on the side two - Probably the rarest and definitly the most sought after french jazz records of all time ! 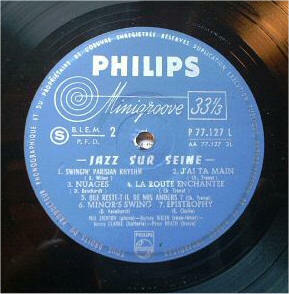 original French mono pressing. 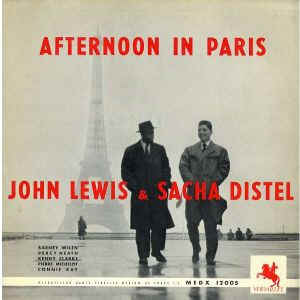 Recorded in Paris, Live at Saint Germain Club, April 24, 25 1959. 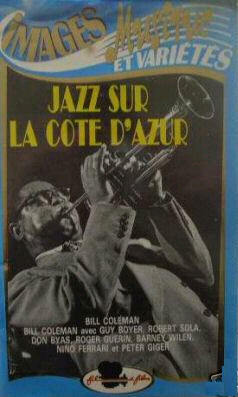 Featuring Kenny Dorham (tp), Barney Wilen (ts), Duke Jordan (p), Paul Rovere (b), Daniel Humair (ds). 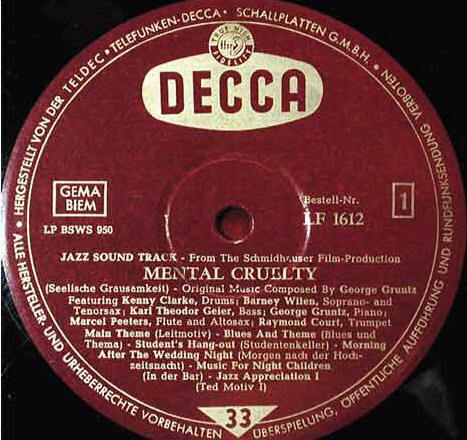 Original French Rca 430.053 - Enregistrements Les 24 et 25 avril 1959 - Besamo Mucho : 12'35 - Stlabemates :5'30 - Jordu : 9'-Lady Bird : 11'50 - Barney Wilen : Saxo-Tenor - Kenny Dorhan : Trompette - Duke Jordan : Piano - Paul Rovere : Basse - Daniel Humair : Batterie . 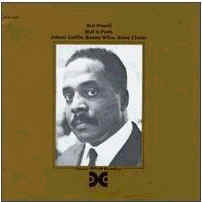 Bud Powell. Bud in Paris. Xanadu 102 MONO. 1975. Xanadu Gold Series. 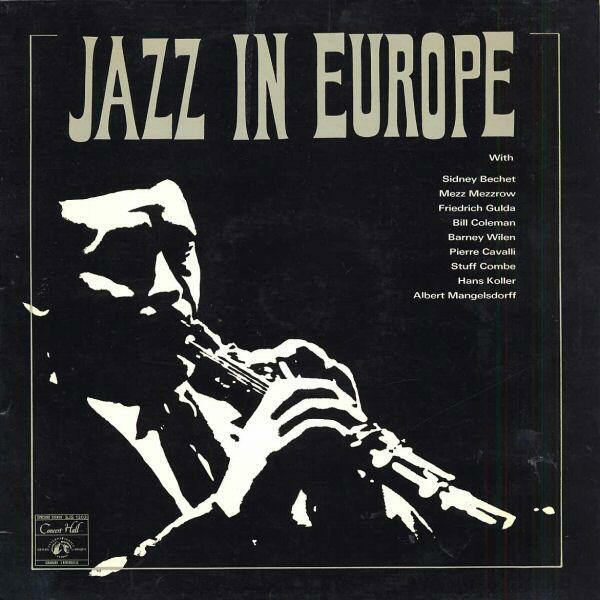 Bud is accompanied by Johnny Griffin, Pierre Michelot Kenny Clarke. 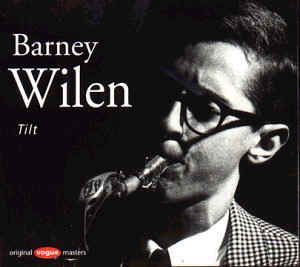 Barney Wilen replaces Griffin on some tracks.Recorded in the Fall of 1959 & Winter of 1960. There is a hole punched in the bar code and the words "Promotional Use Only" are printed on the disc itself. Has 14 tracks, including TUNE FOR DUKE, GET HAPPY, CROSSING THE CHANNEL, BODY & SOUL and BUD ON BACH. 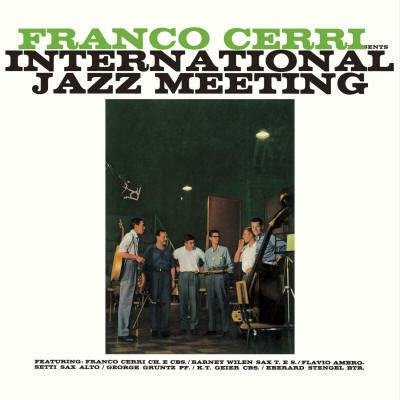 An record of Franco Cerri (g) feat. 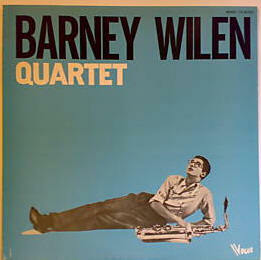 Barney Wilen (ts,ss), Flavio Ambrosetti (as), George Gruntz (p), K.T.Geier (b) or George Joyner (b), Eberard Stengel (ds) or Buster Smith (ds). 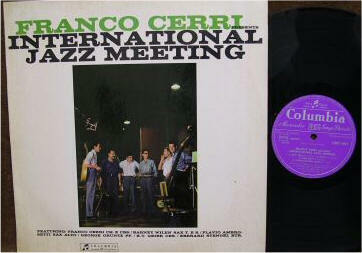 "International Jazz Meeting" is an amazing Italy Jazz LP ! Franco Cerri (g) feat. 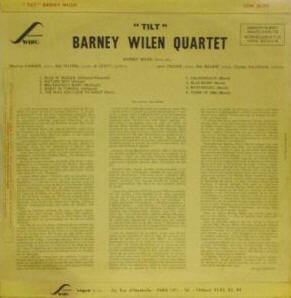 Barney Wilen (ts,ss), Flavio Ambrosetti (as), George Gruntz (p), K.T.Geier (b) or George Joyner (b), Eberard Stengel (ds) or Buster Smith (ds). FIRST ISSUE, DEEP GROOVE, FLAT EDGE, SUPER THICK AND HEAVY VINYL & COVER, SOLID MINT! CONDITION. NO WEAR OF ANY KIND, FULL LUSTER ANS SHEEN WHICH IS MIRROR-LIKE. 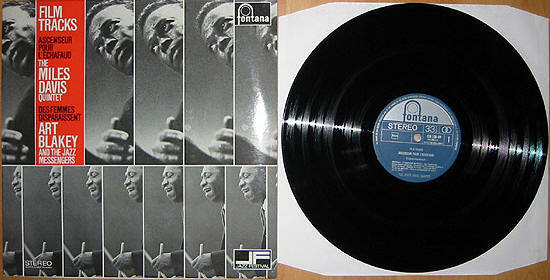 THIS LP & COVER LOOK AND SOUND TO HAVE BEEN PRACTICALLY UNPLAYED OR HANDLED IN OVER 50 YEARS. AMAZING WARM AND RICH HI FIDELITY WITH NO SURFACE NOISE AT ALL. 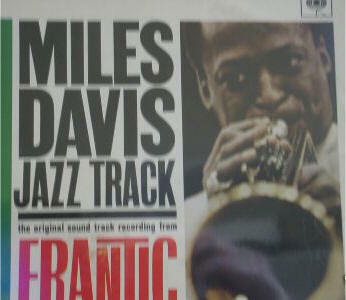 TO LISTEN TO THIS MASTERPIECE IS LIKE ONE IS IN THE STUDIO WITH THE MUSICIANS - ITS SIMPLY BEATHTAKING. LABELS ARE YELLOW AND BLACK WITH 'TRUMPETER LOGO' BY DAVID STONE MARTIN. VERY STRONG DEEP GROOVE IMPRESSION. COVER PHOTO GRAPHICS OF BYAS IN THE STUDIO IS BY THE GREAT FRENCH ARTIST J.P.LELOIR. AS GOOD AS IT GETS IN VINTAGE VINYL. 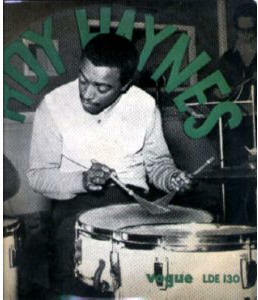 (PLEASE NOTE: THE DIGITAL PHOTO BELOW MAKES THE COVER LOOK LIKE IT HAS RING WEAR, HOWEVER THIS IS PART OF THE BACKGROUND OF THE ORIGINAL COVER PHOTO OF DON BYAS). 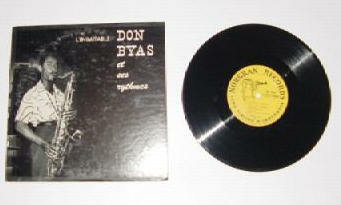 DON BYAS BARNEY WILEN NORGRAN MGN 12 10" LP MINT! 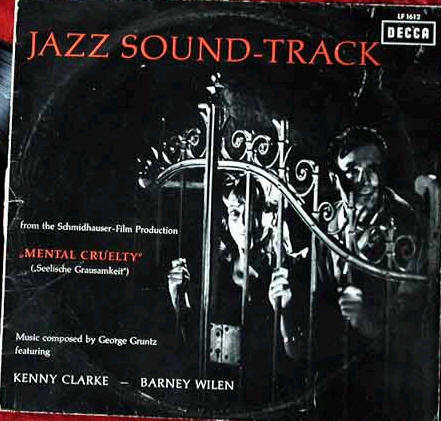 "MENTAL CRUELTY" the 1960 soundtrack. Lovingly re-released here on Unheard Music Series cd from Atavistic. 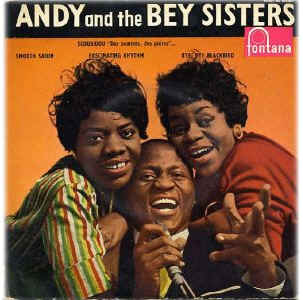 1960 RECORDING. 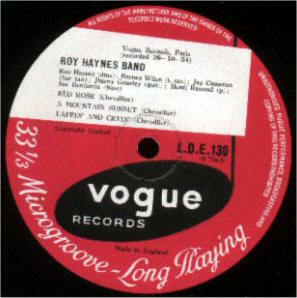 The original lp was a run of 100 copies. This new cd release reveals a jem of classic proportions. 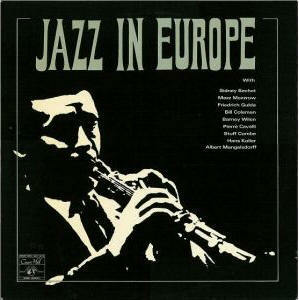 This record "Jazz in Europe"" includes best Jazz Players of end of fifties and begining of sixties in EUROPE . 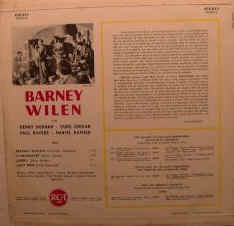 LP with BARNEY WILEN / HANS KOLLER. 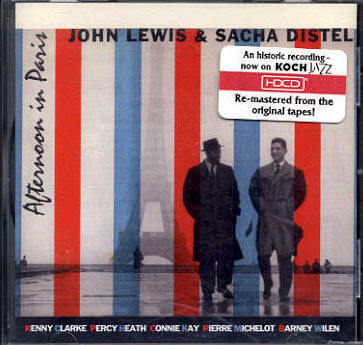 CONCERT HALL SJS 1303 STEREO (original French edition).Tracks: ADLON 1925 / ALMOST DOWN by Frankfurt All-Stars (Hans Koller on sax) / THE LADY IS A TRAMP / NUAGES by Norma Green (with Pierre Cavalli on guitar) / THE SHEIK OF ARABY / PERDIDO STREET STOMP by Mezzrow-Bechet Septet / MY FUNNY VALENTINE by Vienna Jazz Workshop Octet (with Hans Koller on tenor sax and Friedrich Guida on bariton sax) / CHEROKEE by Vienna Jazz Workshop Quartet (with Hans Koller on tenor sax and Friedrich Guida on bariton sax) / DOWN BY THE RIVERSIDE / SWING LOW SWEET CHARIOT by Bill Coleman(with Jef Gilson orchestra) / MOVING OUT by Barney Wilen Quintet / CARAVAN by Stuff Combe. There is a "MADE IN FRANCE" stamped in small letters in the top center on the back. 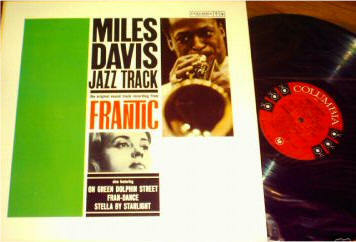 Sehr seltene und gesuchte LP des Trompeters Miles Davis. 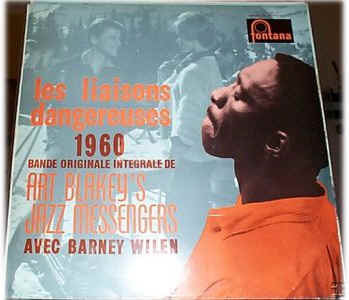 Diese in den 1960er Jahren erschienene Originalausgabe enthält die Aufnahmen von Miles Davis zu Louis Malles Film "Ascenseur pour l´Echafaud" ("Fahrstuhl zum Schaffott" / "Lift to the Scaffold") und Art Blakey and the Jazz Messengers Einspielungen zum Film "Des Femmes Disparaissent". 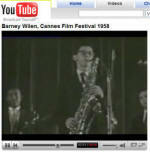 Mit dabei sind Barney Wilen, René Urtreger, Pierre Michelot, Lee Morgan, Bobby Timmons, Benny Golson u.a. Fontana 826 150 QY. 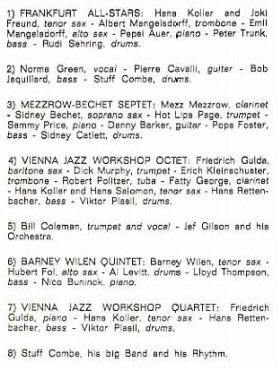 With: Pierre Michelot, Barney Wilen, Rene Utreger, Kenny Clarke. 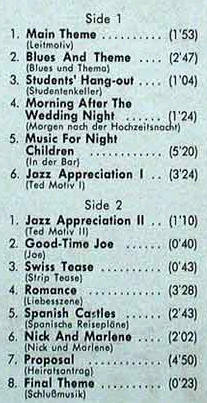 This is the original German ten inch version of Miles Davis` famous film music. It was originally issued with the cover printed in Holland. 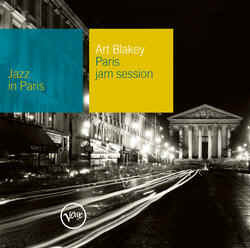 Art Blackey Barney Wilen Quartet ! 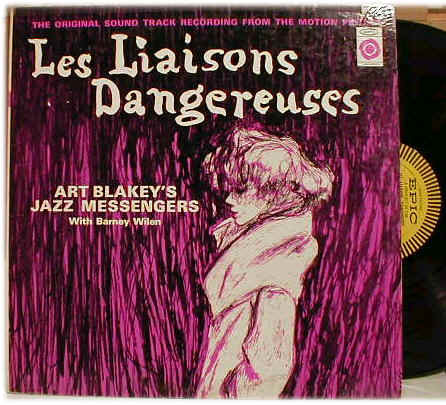 'Dangerous Friendships' (Les Liasons Dangerous) Soundtrack LP by Art Blakey's Jazz Messengers with Barney Wilen from 1960. 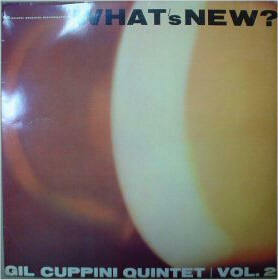 Released on Fontana Records, the Catalogue no. is TFL.5184. 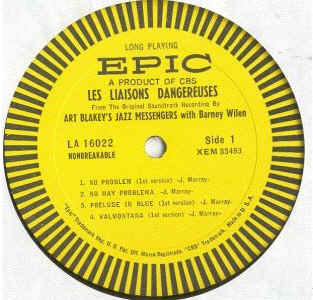 LP: Art Blakey’s Jazz Messengers with Barney Wilen: Original Soundtrack from Les Liaisons Dangereuses: Epic Jazz Series LA 16022. [Issue: presumed original U.S. yellow label w/ black print / USA]. Recorded c.1960 w/ Barney Wilen (ts/ss), Lee Morgan (*), Bobby Timmons or Duke Jordan, Jymie Merritt plus Latin percussion on some trks. Originally released on French Fontana. 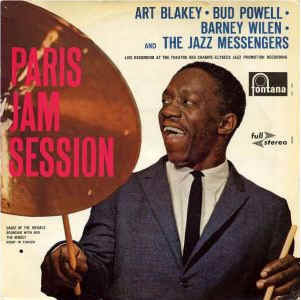 The initial project supposed that a number of American musicians in Paris at the time would gracefully accept the invitation to join Art Blakey's group. Most of them probably had better things to do, even if only for an evening, than link their destiny to that of the drummer, who'd become an idol since his triumph at the Olympia theatre the year before, not to mention his gigs at the Club St. Germain. 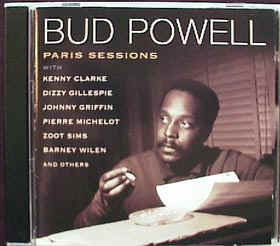 Only Bud Powell climbed onstage at the Champs-Elysees Theatre, and then only after a series of incidents worthy of burlesque. 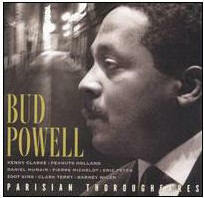 In his memoirs, Francis Paudras relates that he hadn't known that Powell was on the bill, and was delighted when he succeeded in convincing Bud to come to the concert with him. The pianist had accepted, of course (Bud hadn't said a word to him, and needed little persuasion...). 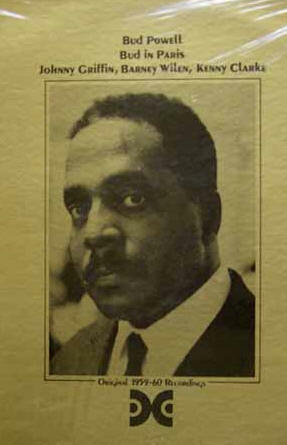 When Art Blakey announced "Ladies and Gentlemen, we have the singular honor of the presence in this theater of the great pianist Bud Powell", Francis Paudras was dumbstruck at what he thought was Art Blakey's second sight, and immediately tried to persuade Bud to get up from the seat into which he was sinking further and further. As if he wanted the earth to swallow him up. 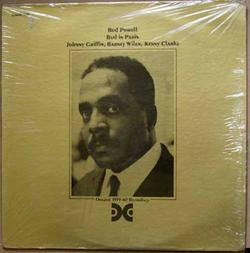 Finally, with the help of some front-row spectators, Bud Powell was pulled onstage, minus (thankfully!) the beret and greatcoat he'd stubbornly insisted on keeping. 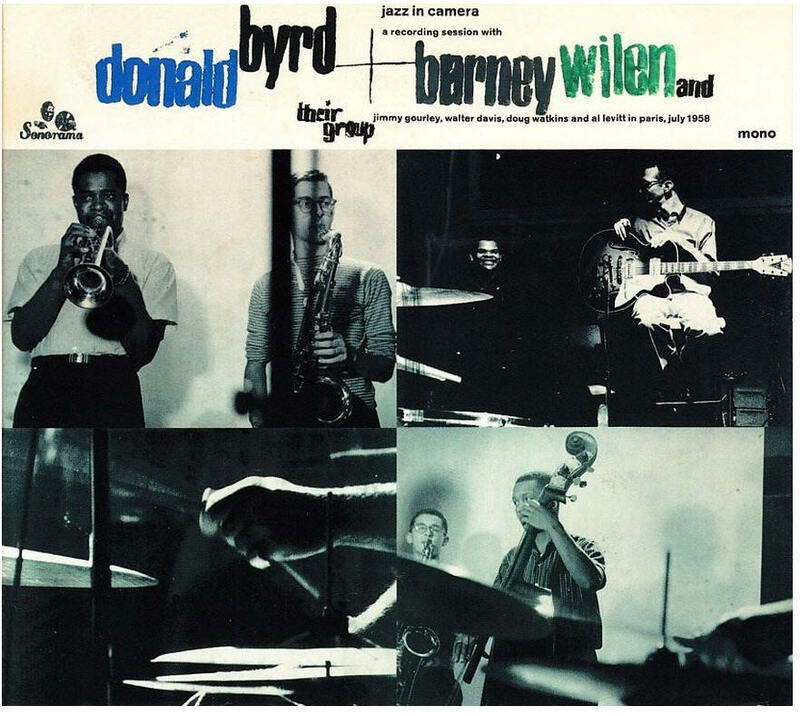 Surrounded by Lee Morgan, Barney Wilen and Wayne Shorter, and sustained by the bass of Jimmy Merritt and Blakey's drums, Bud performed two of his most beautiful pieces, Dance of the Infidels and Bouncing with Bud. And he played them in a way that finally did away with the public's initial disappointment, already greatly attenuated by the contributions of Martial Solal, and trumpeter Roger Guerin. 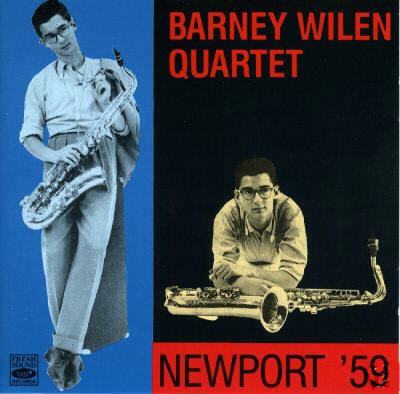 There was only one other guest next to Bud, Barney Wilen, who'd just turned 20. For the occasion, he's chosen an alto over the tenor, preferring the instrument of his debuts to the tenor with which he'd built an enviable reputation. 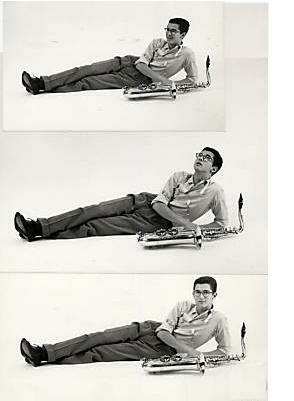 He showed himself to be totally worthy of it, even if he'd practically stopped playing the alto by then. 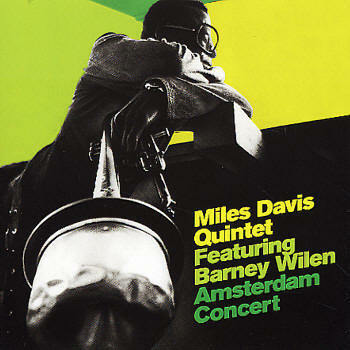 The midget and A night in Tunisia come from the concert's second half, where the Jazz Messengers played alone. The later tune, taken at an infernal tempo, allows us to understand just why Blakey and his Messengers were so popular; and also how it was possible for them to create the demand for a five-week long tour of Europe, a tour whose epicenter remained Paris.